We make it possible for applications from other developers to integrate with Gmail — email clients, trip planners, and customer relationship management (CRM) systems. This is so that you have options around how you access and use your email. We continuously work to vet developers and their apps that integrate with Gmail before we open them for general access. We also give both enterprise admins and individual consumers transparency and control over how their data is used. On your Google account, you can visit ‘Security Checkup’ to review what permissions you have granted to non-Google apps, and revoke them if you would like to. For G Suite users, admins can control which non-Google apps can access their users’ data through whitelisting. A vibrant ecosystem of non-Google apps gives you choice and helps you get the most out of your email. However, before a published, non-Google app can access your Gmail messages, it goes through a multi-step review process. Only request relevant data: Apps should ask only for the data they need for their specific function — nothing more — and be clear about how they are using it. We review non-Google applications to make sure they continue to meet our policies, and we suspend them when we are aware they do not. Transparency and control have always been core data privacy principles, and we’re constantly working to ensure these principles are reflected in our products. 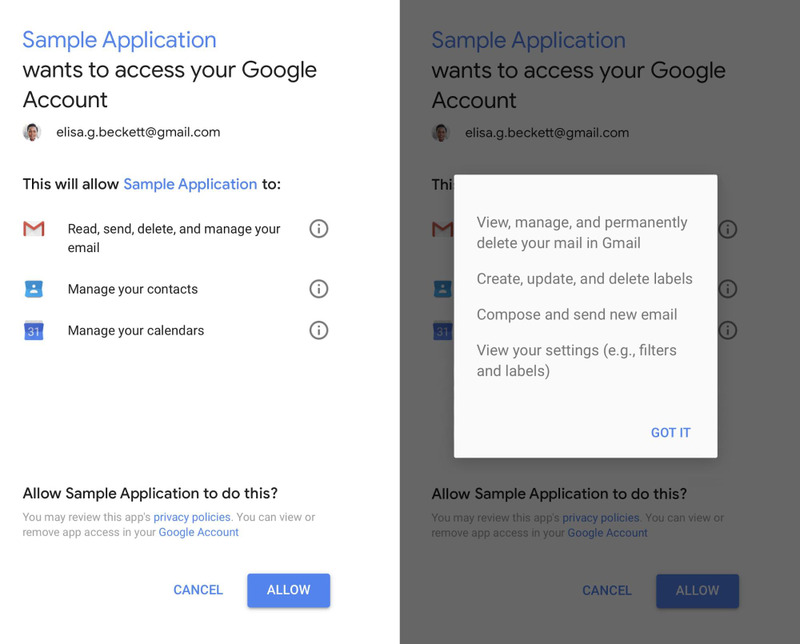 G Suite admins can control the scope of data that users are able to grant to non-Google apps access by whitelisting connected OAuth apps. This ensures that G Suite users can give access only to non-Google OAuth apps that have been vetted and are trusted by their organisation. We do not process email content to serve ads, and we are not compensated by developers for API access. Gmail’s primary business model is to sell our paid email service to organisations as a part of G Suite. We do show ads in consumer Gmail, but those ads are not based on the content of your emails. You can adjust your ads settings at any time. The work of privacy and security is never done, and we’re always looking for ways to better protect our users. For example, we’ve recently introduced more transparency into your Google Account, greater control over your ads settings, and added new OAuth protections to guard against malicious apps. Article first appeared on the Google Blog. Lava is an authorised Cloud Partner of Google and is a reseller of G Suite (previously known as Google Apps, Google Maps for Work, and Google Cloud Platform) in Malaysia. With more than a decade of experience in the industry, we’re proud to say we’re one of the leading cloud consultants and service providers in the Asia Pacific region.